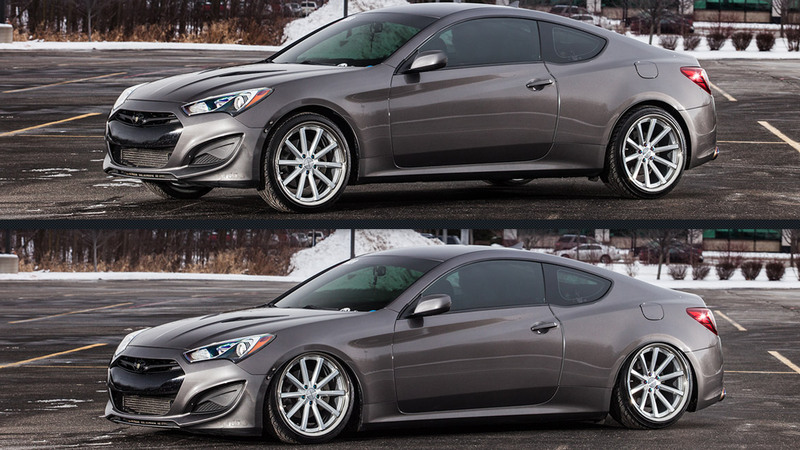 The Hyundai Genesis Coupe has all the ingredients it needs to be a proper sports car, boasting a powerful engine up front, rear-wheel drive and super-cool styling, all at a price that doesn’t break the bank. So what’s holding it back? To performance enthusiasts like you, it’s the suspension. Sure, traditional coilovers can get you low, but you shouldn’t have to worry about getting up driveways and over speed bumps. Here at Air Lift, we believe that you shouldn’t have to sacrifice ride quality to get that low look that you want. 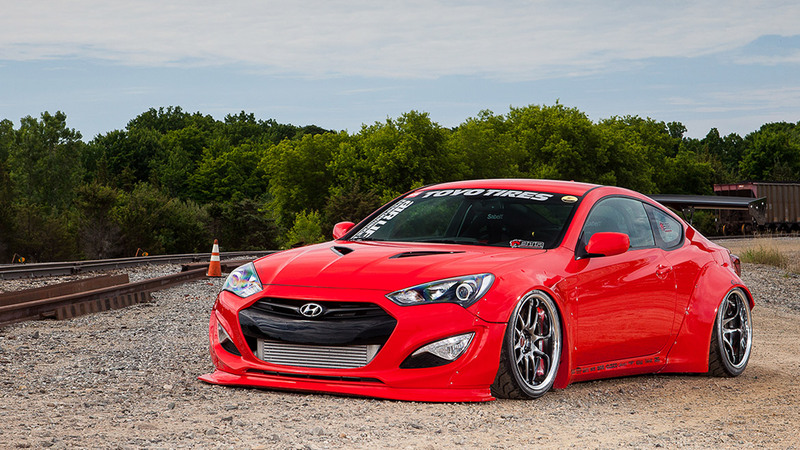 Our full air suspension kit will have your Genesis Coupe on the ground with an unsurpassed amount of adjustability. At the push of a button, you can drop your Hyundai Genesis 4.5” in the front and 4.6” on the rear. The end result is a killer stance and a greatly improved suspension performance, both achieved without sacrificing practicality. Air Lift Performance achieves these results by using a smooth-riding, double-bellows air spring paired with a threaded-body, monotube strut in the front and double-bellows bags with monotube shocks in the rear. 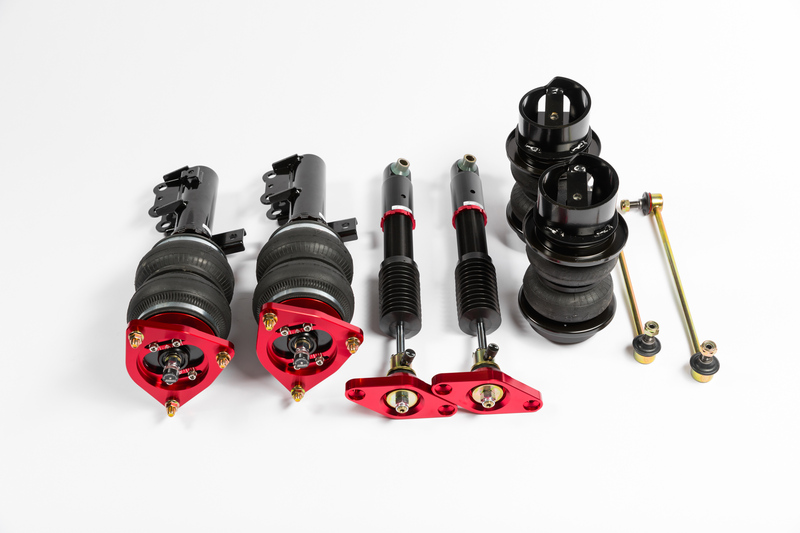 The struts, which each feature a threaded-body, allow you to perfectly set up the vehicle by changing the position of the lower mount on the strut. Both setups provide 30 levels of damping adjustment to suit all of your driving needs – fully customizable from pillow soft all the way to a stiff performance setup. 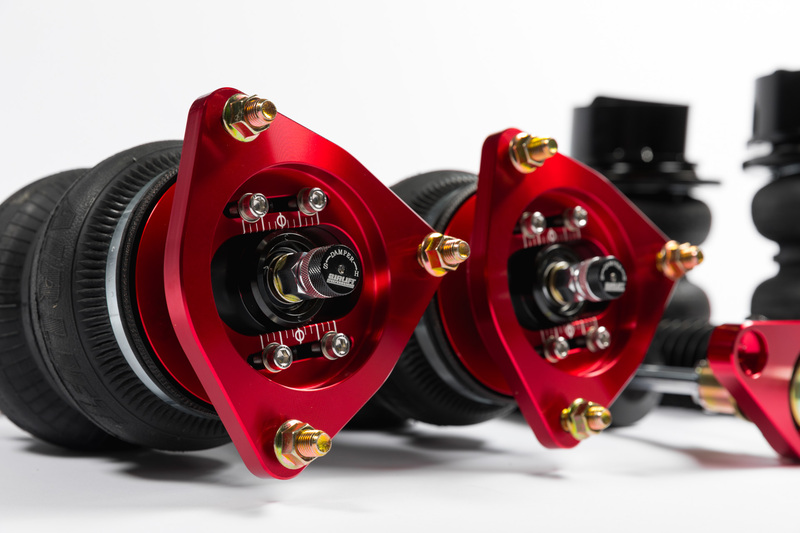 Also included are bolt-in camber plates, made of T6061 red-anodized aluminum, which provide alignment-tuning capability and assist with wheel fitment. The Hyundai Genesis (2009-2016) threaded-body kit is available with a range of Air Lift Performance air-management options, including the innovative 3H height + pressure sensing system. Air Lift Performance used a state-of-the-art 32-bit processor and advanced height + pressure algorithms, then paired them with a full color controller, complete with built-in Bluetooth connectivity, in order to make 3H the most advanced air management system on the market.